The assessment tool was further reviewed by the panel of experts and additional areas were added accordingly. Accordingly, the regulatory part of national guidelines already developed by the FMOH was divided into three units and the panel suggested the addition of a fourth unit to describe ethical issues in tissue samples research and genetic research. 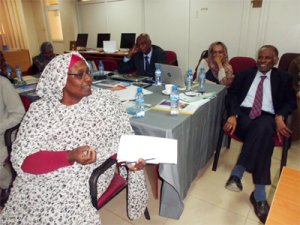 With the exception of the international member the panel was divided into four groups and each group was asked to review one section of the guidelines using the assessment tool to identify gaps and suggest amendments if needed. Each group was given a four weeks period for the review. 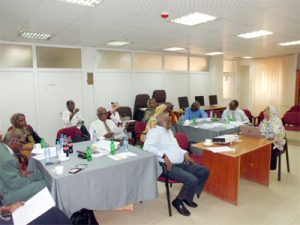 Following the review process a two day workshop was conducted in which each of the group presented their findings and suggested amendments. Each presentation was followed by a thorough discussion, and in some cases further comments and suggestions. The working groups were given another 10 days to include the suggestions and send their final work to the PI , whom compiled it into one document. The final document was again distributed to the panel members for a final review. Chapter three about Research Ethical committees only required minor additions. Chapter four ( Ethical Review Process) was rewritten to explain the categories of research review and to include sections about ethical review of clinical trials, social and behavioural research, research on herbal products and traditional medicine and the ethical review of research in humanitarian settings. Chapter four (Informed consent) was also rewritten to emphasis on the requirements of an informed consent with special concentration on vulnerability issues. The chapter also introduced special considerations in research with children and women with special emphasis on cultural considerations. A final chapter was added to the guidelines to describe the regulations that govern research in stored samples and records and genetic research. The panel further reviewed the protocol application form and the protocol application checklist. A template for review of protocols was added and a checklist for clinical trial application. Forms for suspected unanticipated events and material transfer agreements were also added to the appendix. The final document “Guidelines for Ethical Conduct of Research Involving Human Subjects, second edition 2017” was submitted to the secretariat of the NHREC for final endorsement through the ministerial regulatory pathways.